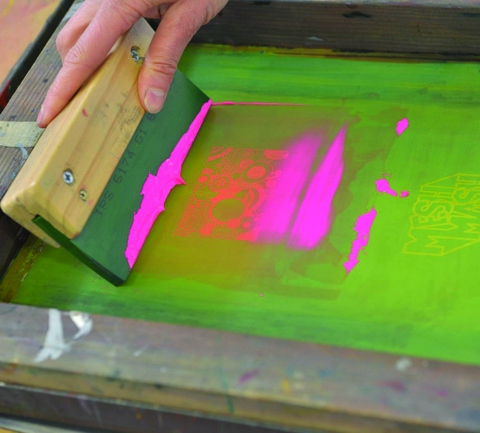 Join the Mesh Mash crew for an experimental printing day at the Woods Street Arts Space. Led by Mesh Mash artists, you can try your hand at printing a tote bag or fabric samples. Mesh Mash is a social enterprise that empowers young people to bring their art to life. Quality limited-edition print clothing, homewares and accessories are produced from the design studio in Laverton. The designs are created by young people in collaboration with leading artists with profits used to support creative programs and pathways that support education and employment opportunities. Limited edition tote bags designed for Art & Industry 2018 by our Mesh Mash Design Generator program will be available at key events during the festival.